Detroit Pistons @ Minnesota Timberwolves Free NBA Betting Preview for Wednesday. December 19, 2018. Charliessports.com produces it for Basketball Betting. NBA Daily ATS Picks are the best in the industry and will continue through the NBA Finals in June of 2019. The (14-14) SU, (14-13-1) ATS Detroit Pistons have dropped seven of eight including a 107-104 defeat by Milwaukee as 3 point home UNDERDOGS ATS. Detroit beat Boston 113-104 in the span but their struggling. Detroit is five games from the top spot in the Central division but is the six seed in the Eastern Conference. Detroit is 5-1 ATS their last six on Wednesday’s. The Pistons have covered the POINT SPREAD the last six times the teams have met. The Pistons are 4-5-1 ATS their last ten overall. OVER bettors have cashed in 5 of Detroit last six vs. Teams with an SU losing record. The (14-16) SU, (16-14) ATS Minnesota Timberwolves broke a four-game winning streak with a 132-105 victory over Sacramento as 8 point home FAVORITES ATS. Minnesota is seven games behind first-place Denver in the Northwest division. They’ll play their next three on the road before returning home to take on Atlanta on December 28th. OVER bettors have made a profit in 4 of the last five between the teams. The Timberwolves are 4-1 ATS their last five at home. The UNDER is 4-1 the last five times the teams have played in Minnesota. Minnesota is 2-1 AGAINST THE POINT SPREAD their last three vs. Eastern Conference opponents. Wednesday’s game is 8:00 PM EST at Target Center in Minneapolis, Minnesota. The Local Television Network will be broadcasting. The Betting Line has Detroit as a 5 point road UNDERDOGS ATS. The TOTAL is 218 points for Wednesday’s contest. After winning five consecutive games at the end of last month, Detroit Pistons head coach Dwane Casey is trying to get them back on track during their December woes. Fans thought the Pistons were getting back on track after taking down Boston on Saturday turnovers against Milwaukee added to the number in the loss column. Blake Griffin (25.4) points per contest led the team in scoring and posted his ninth triple-double of the season in the three-point loss to Milwaukee. Detroit averages (109.0) ppg which ranks 19th league wide but they shoot just (43.5%) from the field which is 12th in the NBA, and that must improve. What’s worse than that is the (32.5%) from beyond the three-point line. Center Andre Drummond (15.5) rebounds per game which leads a team that grabs (47.5) boards per contest, fourth in the NBA. It’s plain to see Detroit needs to play through the post. However, Drummond is a liability at the free throw line. The Piston is a middle of the pack team on defense as they allow (109.9) ppg to opponents on (46.4%) shooting. Detroit knows they’ll be facing a team with plenty of weapons tonight and must play through Drummond and Griffin. Since trading Jimmy Butler to Philadelphia on November 12th, the Timberwolves are 10-7 SU. Head Coach Tom Thibodeau knows there’s a lot of basketball left in the season and with Butler out of the mix the young Timberwolves are producing. The Timberwolves are 8-3 their last eleven in front of the home crowd which is why a victory tonight is crucial as they’ll play six of their next seven on the road. Center Karl-Anthony Towns (21.4) ppg is the leader of an offense that puts up (110.8) points per contest, 15th in the NBA. Thibodeau coached veteran point guard Derrick Rose in Chicago, and the duo led the franchise to a number-one seed in the East, but LeBron James closed the door on their run in 2011. Rose is averaging (18.5) ppg with (4.6) apg as there’s a comfort zone between player and coach which will pay dividends as the season progresses. Small Forward Andrew Wiggins (16.3) ppg is the teams most talented player, and his defense is improving under Thibodeau. Minnesota along with Utah has been early-season disappointments in the Northwest division while Denver and Oklahoma City are soaring. A key for a Minnesota win is to make open shots; it’ll be tough inside against the twin towers of Detroit. Bovada.Lv list the Minnesota Timberwolves win total at 48 games for 2018-19. Free Pick. Detroit+5 Points. Also Play Online Poker Plus Other Casino Games and enter some of the best Tournaments on the World Wide Web. 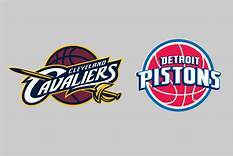 Cleveland Cavaliers @ Detroit Pistons (Eastern Conference, Central Division) NBA Betting preview for Monday, November 19, 2018. Charliessports.com produces it for Basketball Betting. NBA Daily Expert Picks are the best in the industry and will continue through the NBA Finals in June of 2019. The (2-12) SU (7-7) ATS Cleveland Cavaliers got their second taste of victory in the 2018-19 season on the 13th of this month in a 113-89 blowout over Charlotte as 9 point home UNDERDOGS ATS. However, the next night they were back to their losing ways in a 119-95 SU loss as 11′ point road UNDERDOGS AGAINST THE POINT SPREAD. Rookie point guard Collin Sexton led Cleveland with 24-points as Cleveland allowed 41 first-quarter points in defeat. Cleveland is 2-5 ATS in their last 7 when giving up 100 or more points or more their previous contest. The UNDER is 4-0 the Cavaliers last four after allowing 100 or more point the game before. UNDER bettors have cashed in Cleveland last seven overall. The Cavaliers are 5-1 the last six between the teams. The (7-6) SU (6-7) ATS Detroit Pistons have won three of four both SU/ATS and are three games behind first-place Milwaukee in the Central division. Detroit is back in action after a 106-104 SU win over Toronto on November 14th as 9′ point road UNDERDOGS ATS. Former Raptors and current Pistons head coach Dwane Casey didn’t put too much emphasis on his return to Toronto; he just wanted his team to play competitive basketball. Detroit outscored Toronto in the final period as Reggie Bullock hit a buzzer beater for the win. Detroit is 12-5 ATS their last seventeen vs. Teams with a losing SU record. UNDER bettors have cashed in 4 of Detroit last five when they’ve scored 100 or more points their previous game. Detroit is 0-4 ATS their last four at home. Monday’s game is at 7:00 PM EST at Little Caesars Arena in renovated downtown Detroit, Michigan. The Local Network will be broadcasting. The Opening Betting Line has Cleveland as 11 point road UNDERDOGS ATS. The TOTAL is 213′ points for Monday’s contest. Cleveland Cavaliers owner Dan Gilbert brung an NBA title to Northeast Ohio, but now he’s finding out the impact Akron native LeBron James had on the organization. Last season All-Star point guard Kyrie Irving said he no longer wanted to play with LeBron and Gilbert sent him to Boston as a decision he wishes he regrets. However, they should finish with the worst record in the NBA which would make them the favorites for the first overall pick in the 2019 draft. Larry Drew takes over for Tyronn Lue who was fired on October 28th and insists he’ll turn rookie point guard Collin Sexton (12.9) ppg into an All-Star. Cleveland averages (103.4) ppg as a team which is 28th in the NBA but with leading scorer and rebounder Kevin Love out until December with a foot injury someone needs to take the lead. Tristan Thompson (10.8) rebounds per game will do his part on the glass for a team that ranks 19th league-wide grabbing (44.3) rebounds per game. The backcourt of George Hill (12.6) ppg and Jordan Clarkson along with Rodney Hood are all capable scorers, but Sexton is the future. The Cavaliers are giving up (111.8) ppg to the opposition which is 19th league-wide. Cleveland ranks last in the NBA in field goal percentage by opponents as they allow (48.7%) shooting. Leadership is missing on a team that is now searching for an identity after the best player in the world took his talent to Los Angeles. Since Drew has taken over, they’re starting to play more team ball instead of isolation. An emphasis on defense will get the Cavalier their first road win of the season. Bovada.Lv list the Cleveland Cavaliers win total at 30′ for 2018-19. With all the talk in the Eastern Conference surrounding Boston, Toronto, Milwaukee, and Indiana this Sports Handicapper believes the Detroit Piston could be the team which could reign supreme in June. Afterall Casey has previous Eastern Conference coaching experience when it, and they’ve got Center Andre Drummond (16.2) rgp who leads the 4th ranked rebounding team in the NBA Power Forward Blake Griffin is equally effective on the glass and also scores a team-high (24.5) ppg. Detroit’s 18th ranked scoring offense averages (109.9) points per contest, but they have room for improvement. Shooting guard Luke Kennard is out until later this month; his ability to shoot from beyond the three-point line will be needed for a team that ranks last in the NBA. Point Guard Reggie Jackson (15.7) ppg with a team-best (4.9) assists per contest is a multi dimensional player who’s growing into a leadership role. However, they may have to add a proven scorer to come off the bench to take it to the next level. Detroit allows opponents (110.7) points per contest good enough for 16th in the NBA while allowing (46.5%) shooting from the field by opponents, 20th in the league. The team got confirmation of how defense wins games with their impressive performance as they held Toronto to 16 fourth-quarter points for the best win of the 2018 season thus far. The Pistons need to play tight defense from start to finish, after all, they’re well rested. Bovada.Lv list Detroit Pistons win total at 38 games for 2018-19. Free Pick. Cleveland+11 Points. Also Play Online Poker Plus Other Casino Games and enter some of the best Tournaments on the World Wide Web.